It’s the month of August, and the dreaded UMaine school bill has arrived. The cost of tuition is about 12,000 dollars per year, and thankfully I am receiving some financial aid. After transferring to UMaine, I currently have over a 3.5 GPA, yet I am not receiving any scholarship money. Now, I’ll be the first to admit that I’m not the most dedicated student; I have many other passions, I run my own small business, work with non-profits, and I believe that being involved in the community is much more important than studying for a test for days at a time. With that being said, I am very serious about my classes, and I look for opportunities to learn as much as a possibly can (I would rather visit a professor’s office hours than study for a test). 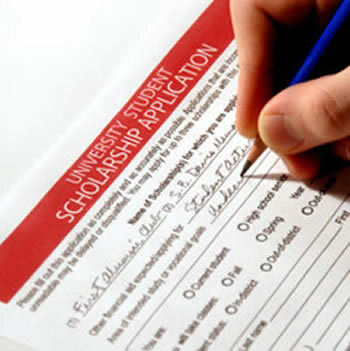 I understand that there are many student who deserve scholarships over myself, yet I am a pretty selfish guy. I want to be out of debt by the time I graduate. I desire to pursue my small business with more freedom than a debt-ridden college graduate, and the clock is ticking down. To add to my displeasure, I somehow always pass a UMaine athlete cruising around in their $30,000 dollar vehicle, riding high on a full boat scholarship without a care in the world. Okay, I get it. Great athletes are a huge benefit to UMaine; they provide great exposure on a local and national level (TV, Radio, Print, Web). They also bring the students together, revive an alumni’s passion for the alma mater, and generate ticket/merchandise sales in the process. Overall, a great student-athlete is a great investment for the University of Maine. They are an important piece in the overall marketing strategy. In comparison, many student entrepreneurs tend to work out of the limelight. Many of these individuals struggle to pay for school, and are not praised and revered like athletes. Typically a college athlete has 4 years of glory, and when the honeymoon is over, he/she returns to being a normal human being. On the contrary, and entrepreneur can create a business that lasts for decades and highlights the college/university in the process. For a perfect example look at Mark Zuckerberg and his Harvard connection. Let’s say theoretically UMaine decided to give out scholarships to entrepreneurs, and magically I received one. The scholarship I received allowed me to pursue my passion and eventually I created a company that became very famous. I fly all over the country and was interviewed by NBC, ABC, and CBS, giving credit to UMaine for “freeing me to pursue my passion.” I then proceed to setup my company a few miles from campus, offering part-time jobs to college students, and gave back to UMaine out of gratitude. I understand that 99.9% of students will never have the opportunity to proclaim their appreciation for UMaine on national television, but I have a little story…. 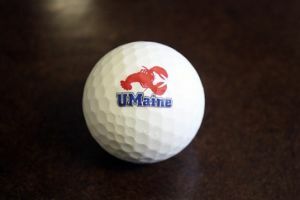 A friend of mine developed a golf ball made out of lobster shells, and was featured on all major publications across the country (Boston Globe, Discovery Channel, Huffington Post, etc). This publicity provided excellent marketing for UMaine in a positive manner, showing that UMaine is on the cutting edge of innovation and engineering. The purpose of my post is not caused by my disdain of UMaine student-athletes, instead I’m attempting to paint a picture of why entrepreneurs are worth full scholarships. Very few student-athletes move on after college to the pros, and likewise, very few entrepreneurs will create successful businesses. My point is that the risk is prevalent in each decision. Do you agree? Chime in and let me know what you think in the comments below.